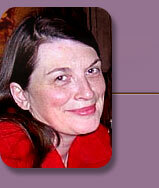 Rosemary Kelly LY, LLi/t is a Laughter Yoga leader and a Certified Laughing Lymphercise™ instructor and trainer. Classes, workshops and lectures can be presented anywhere with enough planning! Based in Ontario, Canada but available internationally. © Rosemarykelly's web 2004 - 2020. All rights reserved.